Hello and welcome to my website. Here you will find links to all my online places such as my Etsy shop and Social Media sites. 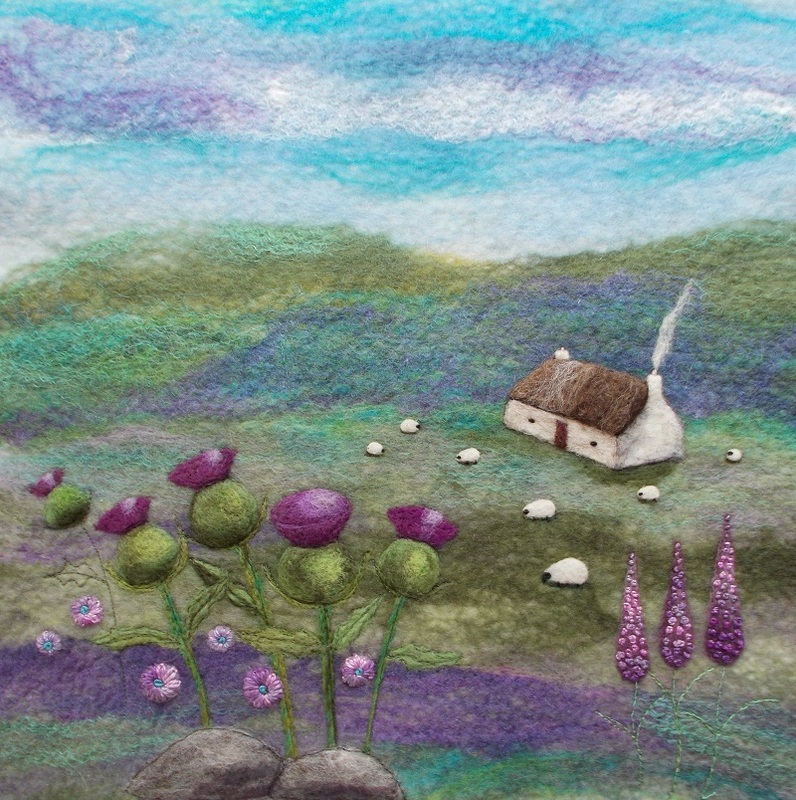 I make a wide range of felt art, fibre art jewellery, textile and resin jewellery, brooches and trinket boxes as well as a range of gift items featuring my artwork. All current work for sale is available in my Etsy shop. The best place to keep up with new makes is on Facebook or Instagram where I also try to share a little about my processes and behind the scenes info. 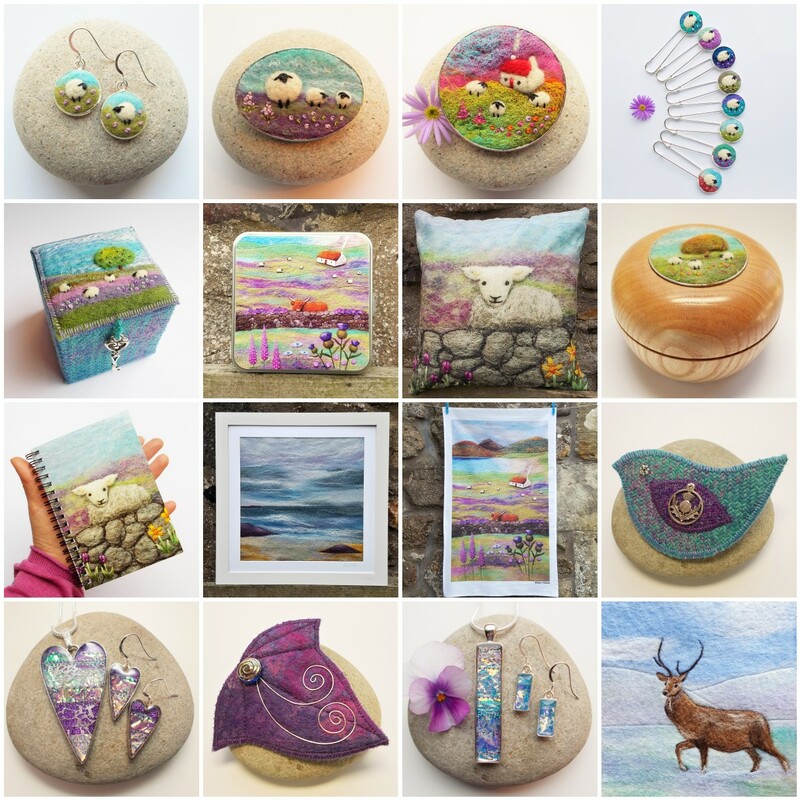 I take part in Open Studios North Fife every year on the first weekend in May and it's a great opportunity to meet and chat and see my full range on display as well as demonstrations.